OnePlus fans are eager and excited about the OnePlus 6T. The Shenzen based manufacturer will follow its tradition of two devices a year as it generally launches a new generation of smartphone and then upgrades it with a ‘T’ device. However, when compared to previous trends, the OnePlus 6T is a drastically different device. Today we’ve got one of the final nuggets of information for the smartphone. A leak for the OnePlus 6T allegedly provides its launch date. Take a look below for more details. We’ve had a lot of leaks for the OnePlus 6T so far. These confirm an iterative upgrade as the company will not make any major performance-related upgrades. However the smartphone. will feature a new look. It’s believed that OnePlus will use a teardrop display on the smartphone that’s similar to the one found on Oppo’s F7. 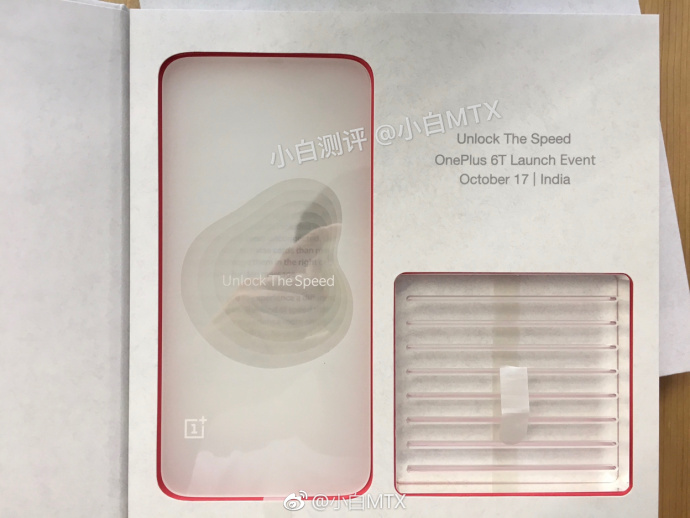 Now we’ve got an alleged invitation letter for the OnePlus 6T’s launch in India. It displays a date of October 17th and carriers a tagline similar to the one present on OnePlus’ official teaser for the smartphone. OnePlus will launch under-the-display fingerprint recognition on the OnePlus 6T. It’s a fact mentioned in the smartphone’s teaser. 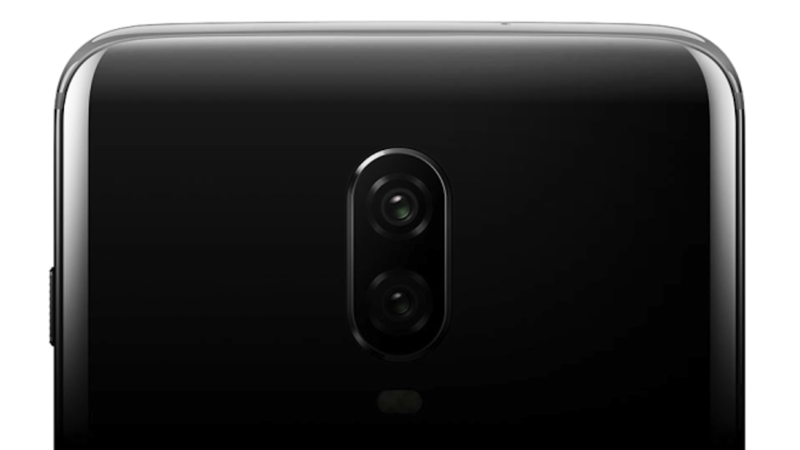 The feature now surfaces in today’s image as well, making it clear that the company intends to use virtual fingerprint recognition as the OnePlus 6T’s primary feature. The ‘Unlock The Speed’ tagline refers to virtual unlocking and not actual speed, according to the source of this image. OnePlus will also remove the 3.5mm earphone jack on the OnePlus 6T. The company’s co-founder Carl Pei confirmed this fact in an interview. Pei believes that the change will allow OnePlus to focus more on other features such as battery capacity. Whether the OnePlus 6T will feature a larger battery over its predecessor is still unknown. The removal of the 3.5mm earphone jack will definitely help the company in waterproofing the smartphone. Thoughts? Let us know what you think in the comment section below and stay tuned. We’ll keep you updated on the latest.